Click here: Current Poetry Archive to read more of my poetry. The poems below are from my novel, The Bumblebee Project. They were written at the same time the book was written, inspired by the story line and the main character’s introspective journey. A few are below. My hope, one day, is to gather all the poems into a separate book, Flight Patterns. I rarely title my poems. reincarnations of everything that meant anything. power to burn and life to live. and ribs that begged for food. only to welcome it; now here I am. coyotes gather in a magic circle to sing down the sun. because none of this is supposed to be figured out. in a spiral of stars left to spread themselves out evenly. never posed, as none of this is supposed to be figured out. while God searches for signs of higher life, to figure it all out. and pray to the Gods like crazy. aimed for the heavens, careless in immortal childhood? ready or not, the life-altering choice, the hardest part. weeks to months to years. the thunder that WAKES YOU UP. or close the sky with its eyes full of stars? or a woman drink a cup of storm? when you don’t even believe in luck. the softest kind that you can find. 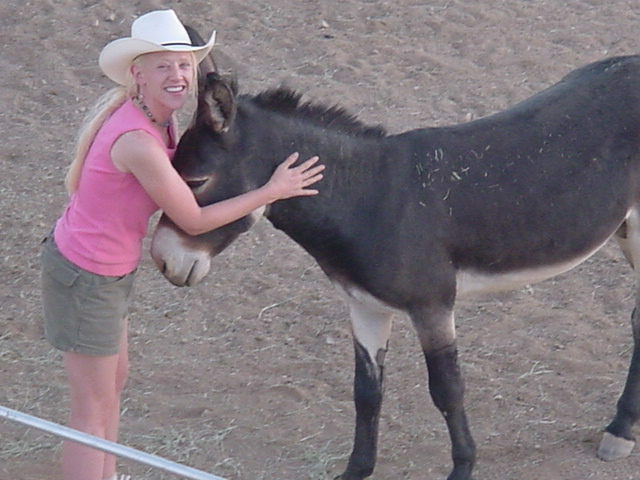 How to hug a Donkey. I love your imagery. I get a strong sense of where you live here on your blog, in your regular posts as well. The setting is wonderfully evocative. Keep bringing this into your writing. The desert really is amazing. The solitude and beauty bring forth a state of mind that is clear and pure and bottomless, perfect for poems and everything creative. I feel like I live on a permanent vacation. I’ve never felt the need to go away to a writing retreat — I live it, every day. I did the whole last edit of my novel outside in my rocking chair, on the covered porch, with all that beauty around me for inspiration. Your poetry has a clear, direct, eloquent simplicity. I especially love the one about sea glass. I’ve always wanted to go to Arizona. The more I read your blog the more that intensifies! My poetry, I’m always told, is “different”. Maybe because I taught myself — and just kept writing until it worked. I finally accepted that different is okay — just ask Emily Dickinson, right? 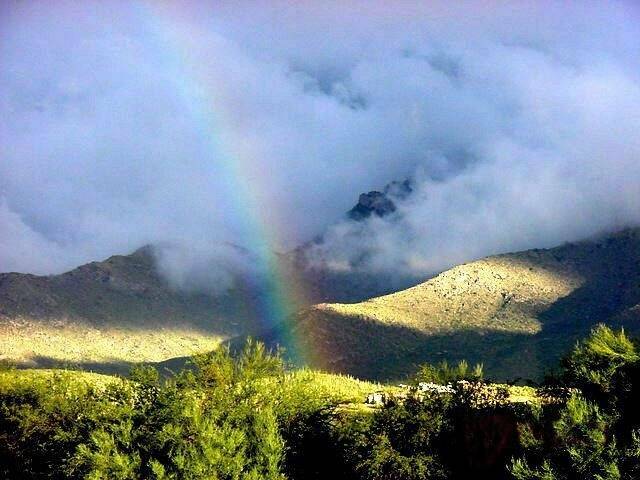 Arizona really is amazing. You’d *love* it. So many places to go, to see, that just take your breath away. Love the writing Em. It’s still as beautiful as I remember. I’ll catch you up in email as soon as I get a spare moment, meaning the next day or two, but, it made my day and it made me smile big to see you here. I did a happy doubletake, lol! Thank you for the compliment on the poEms. : ) They’re a little more polished now, with sixteen years of writing and rewriting poetry under my belt, but the message remains the same. I’m so glad you enjoyed the poems. That made my day. He’s a very good boy, and quite the love-bug. Thank you for stopping by, and for your comment. It made me smile, today. You weave wonderful pictures with words. As always. Thank you, and thank you for dropping by and for your comment. : ) It’s been awhile. I hadn’t known you were such a talented artist! Your work is amazing. Love your Poetry…brings directly to my heart and soul. I love the donkey, please give him/her a big hug for me.